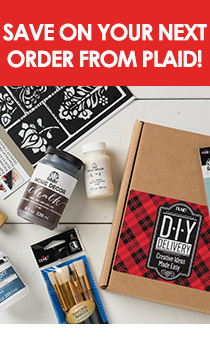 Some of your favorite Plaid products and a few surprises, too—now at super-low prices! Supplies are limited, so stock up today. Fabric Creations™ Adhesive Stencils - Paisley, 6" x 6"
Fabric Creations™ Adhesive Stencils - Tribal, 6" x 6"